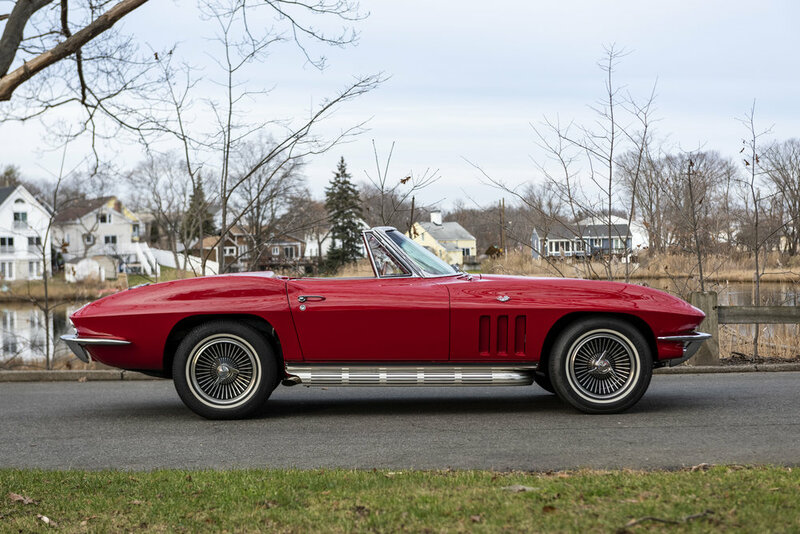 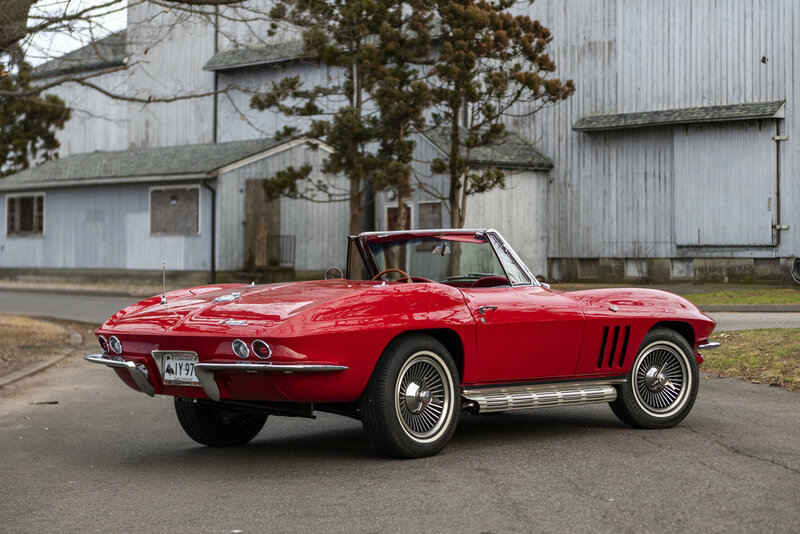 1965 Chevrolet Corvette — Automotive Restorations, Inc.
With the second generation of the Chevrolet Corvette, the world was introduced to a brand-new design language, a new driving experience, and a new hunger for power. 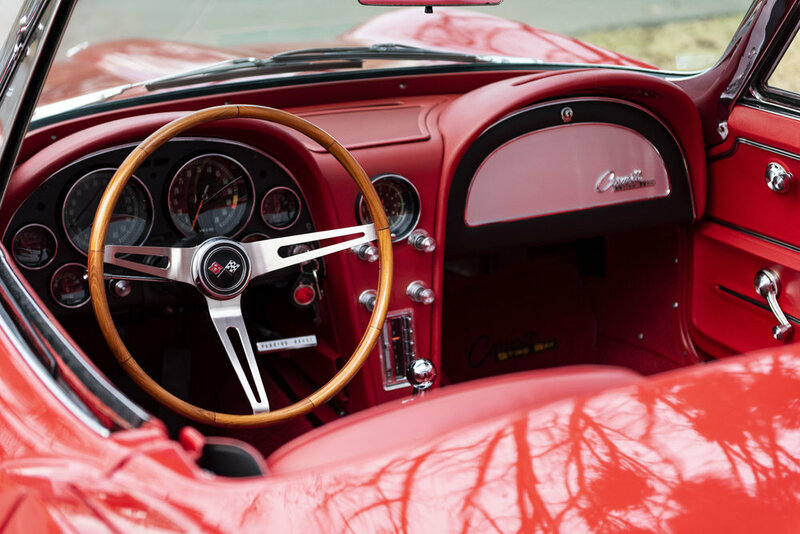 The C2 was unlike anything seen before it with radical styling and a highly tuned race-inspired chassis. 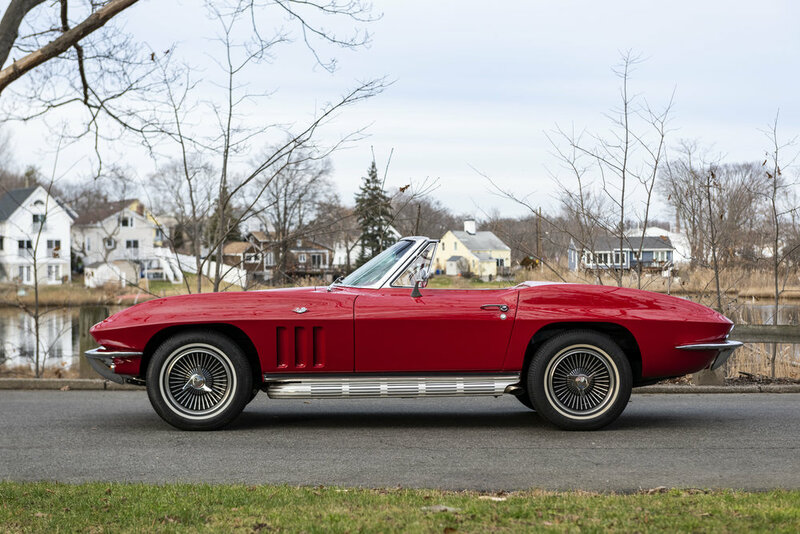 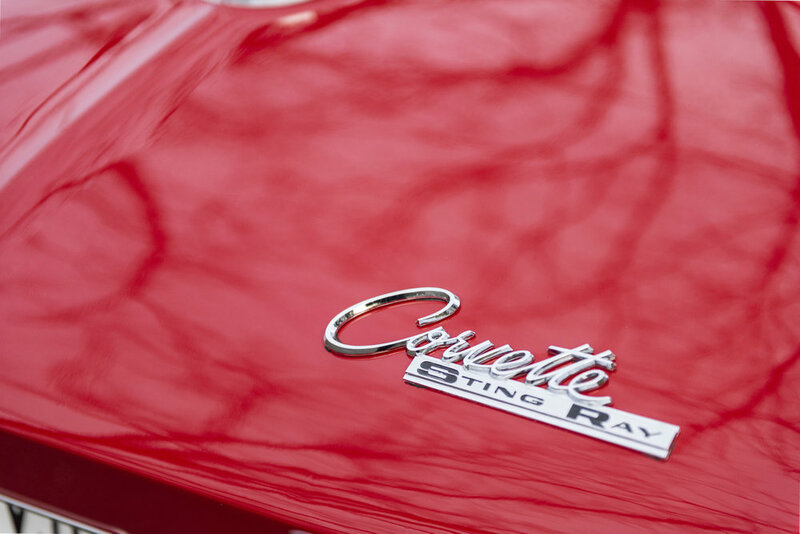 The sleek body of the Sting Ray starkly differed not only from its competition, but largely from almost any other contemporary American car on the road. 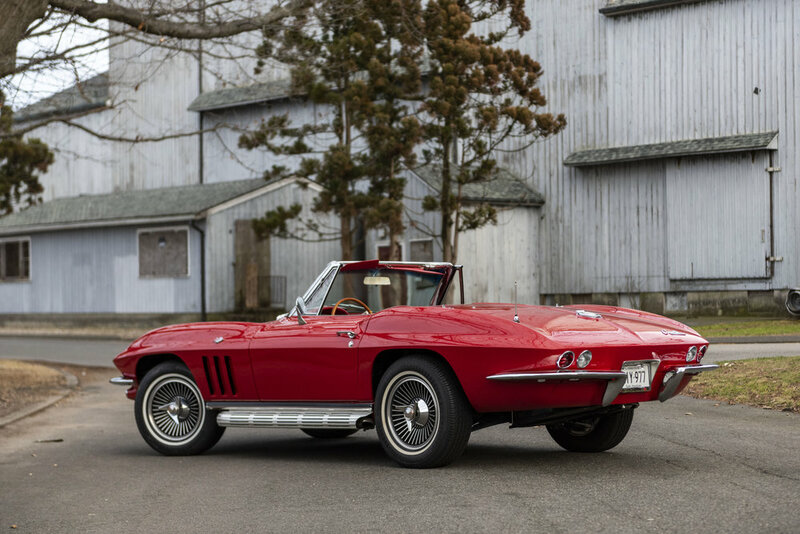 So different was the C2 from the original Corvette that it hardly seems right to call them by the same name. 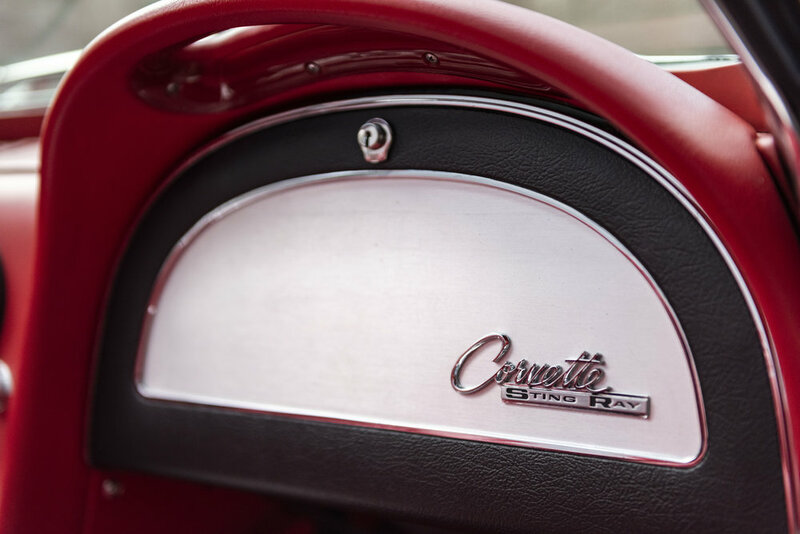 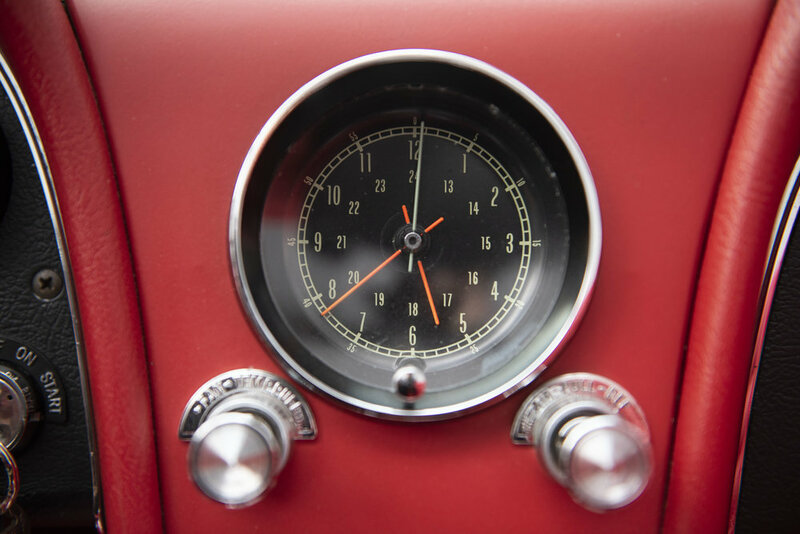 With a newfound handling prowess and the availability of a futuristic fastback coupe, the C2 Corvette was truly a leap forward for the American auto industry and began paving the way for future American sports cars. 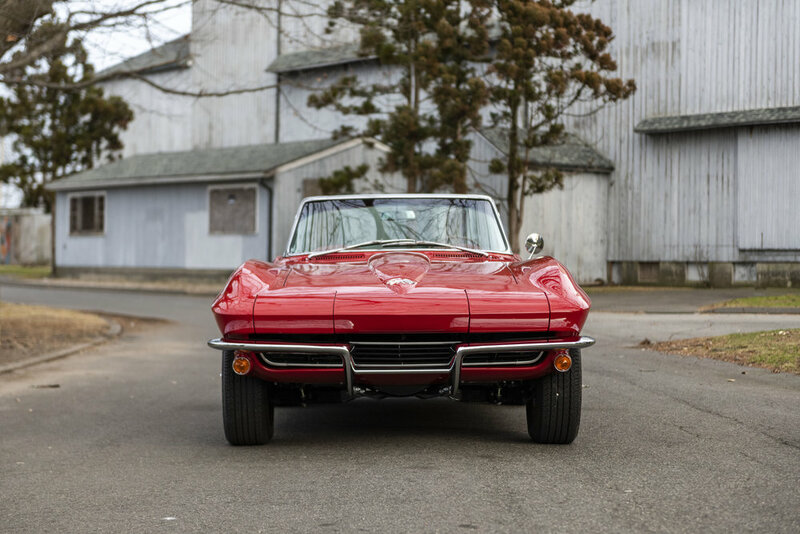 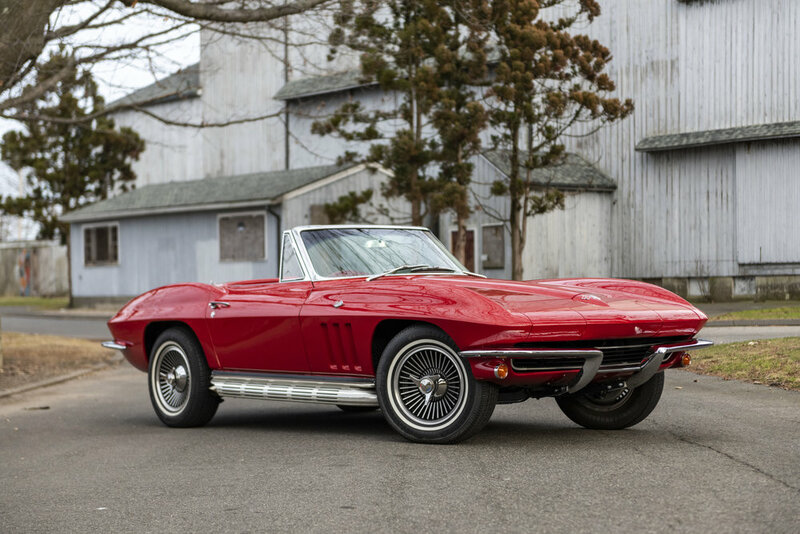 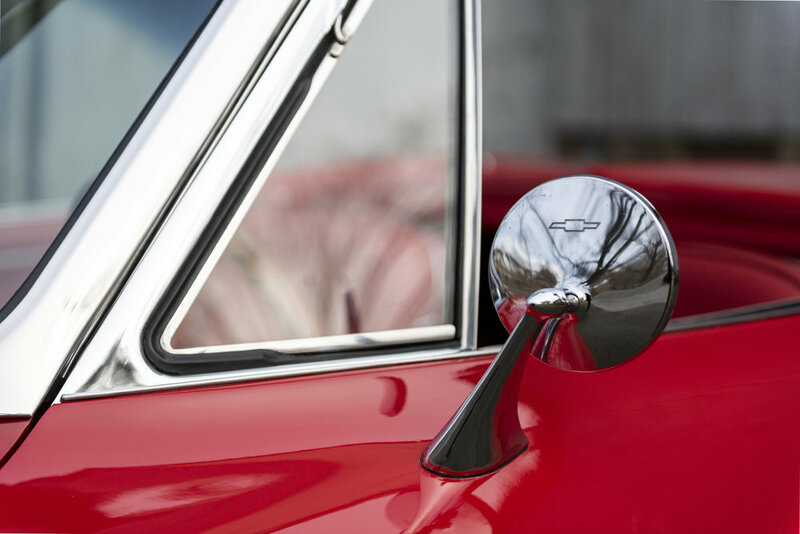 This 1965 Chevrolet Corvette is finished in a beautiful Rally Red over a matching red interior. 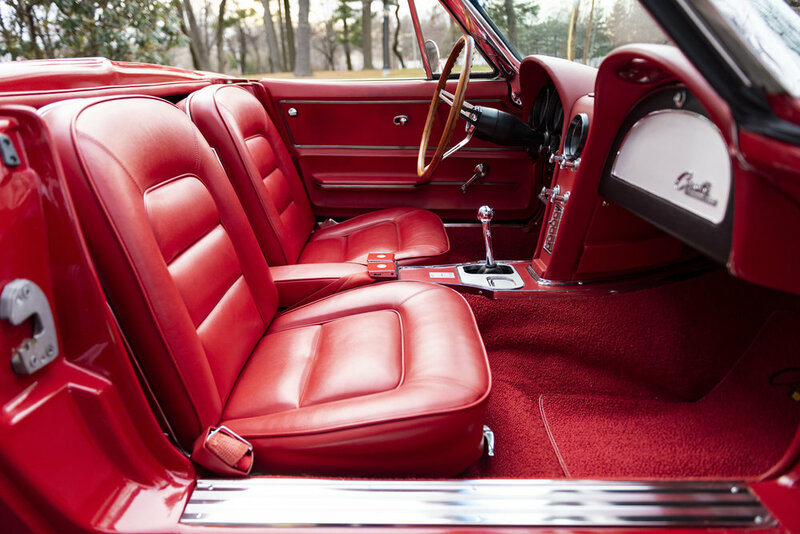 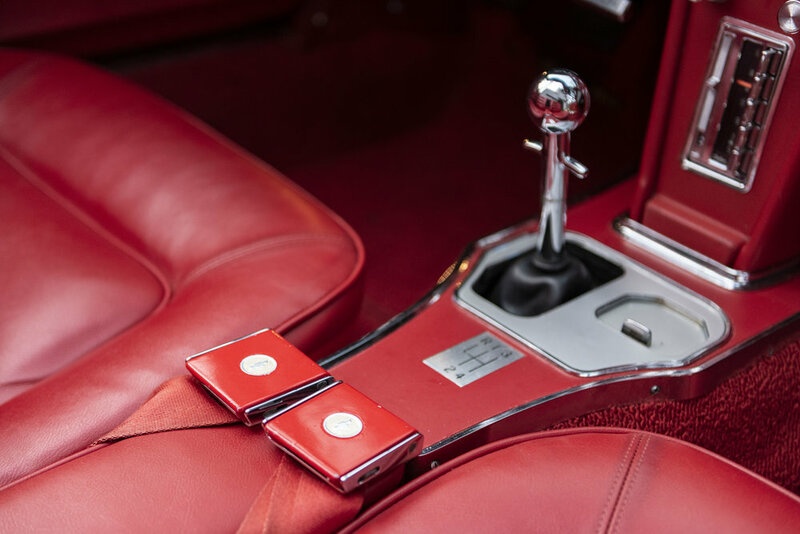 The car shows spectacularly after being recently restored, with a flawless interior and paint that shows exceptionally well. 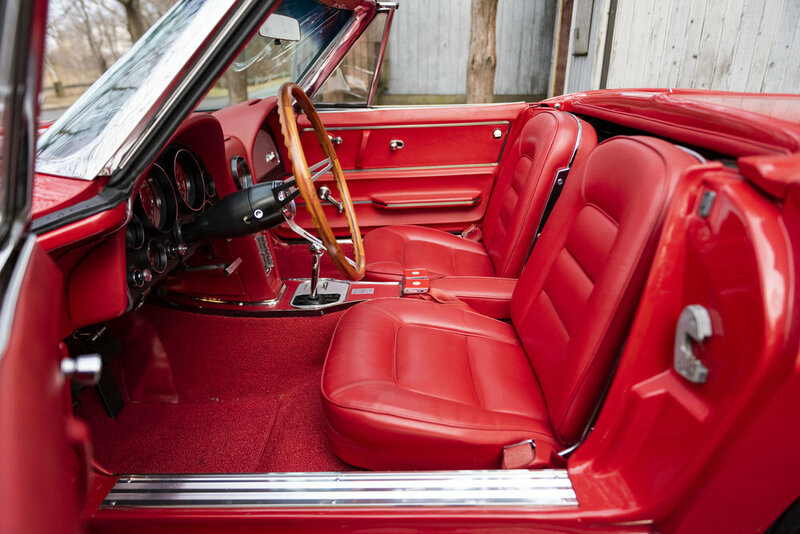 It is equipped with the optional 350 horsepower 4-liter V8 small block which flows through a side pipe exhaust. 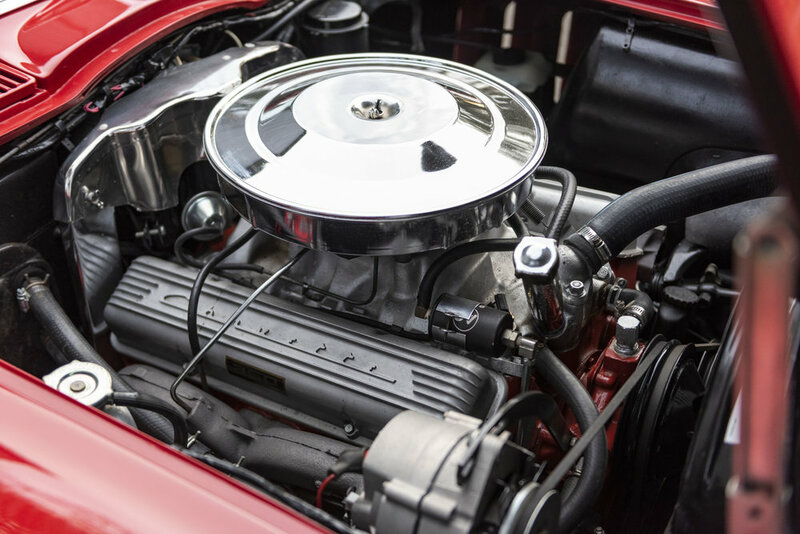 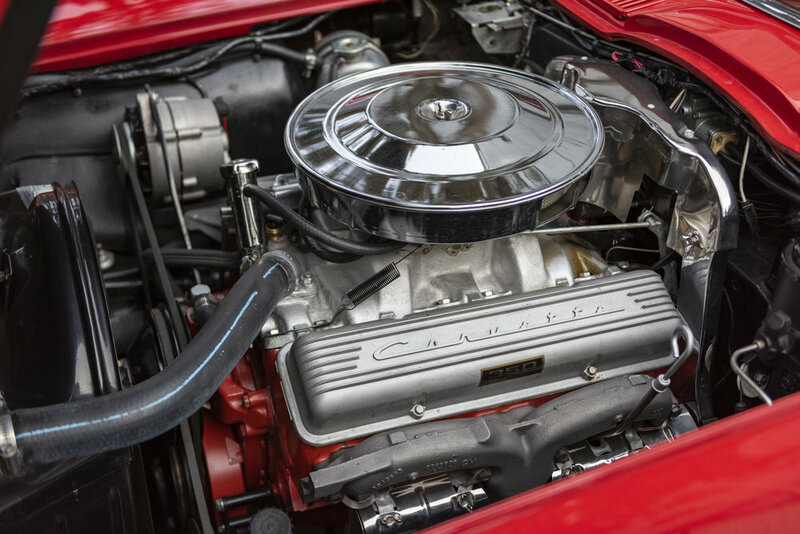 The result is tangible, with the famous tones of the Chevy small block resonating perfectly through the high flow system. 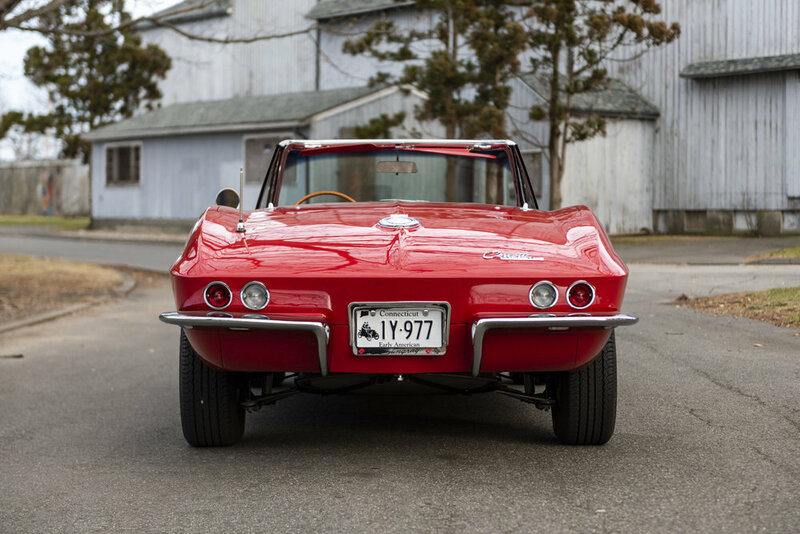 This Vette is joy to drive, feeling as tight and tuned in as the day it rolled off of the assembly line. 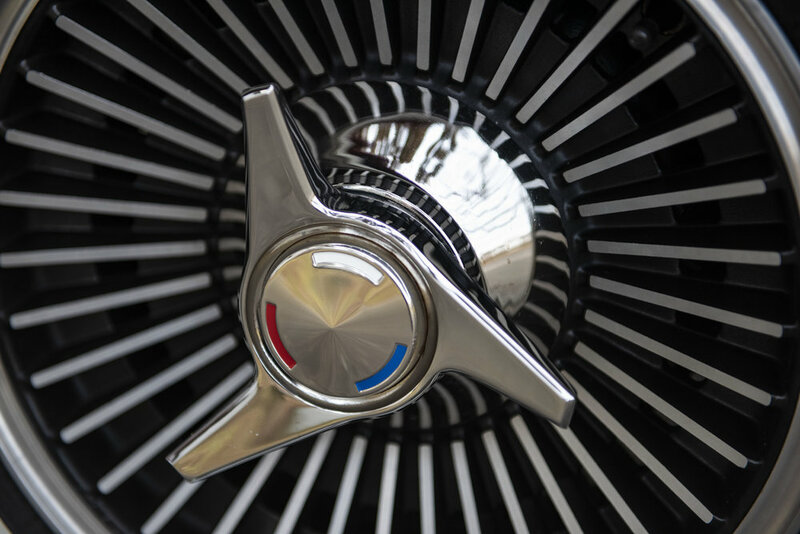 The motor pulls with enthusiasm and sends its power though a 4-speed transmission which shifts perfectly. 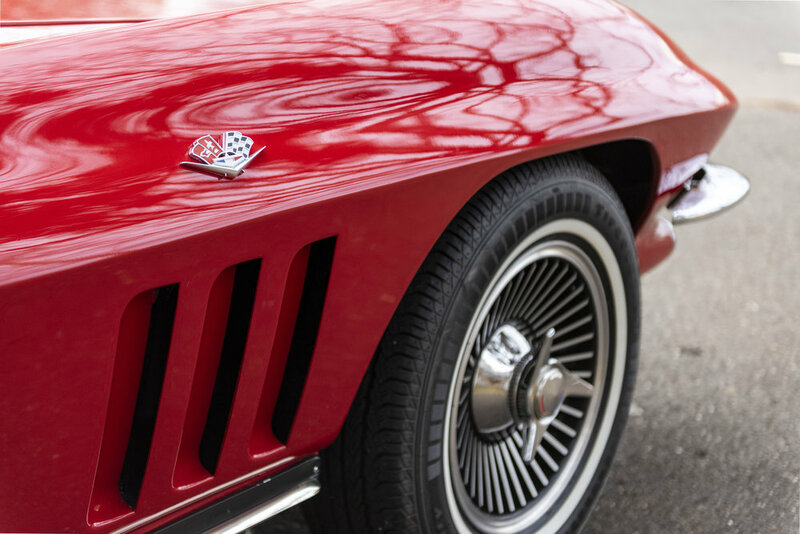 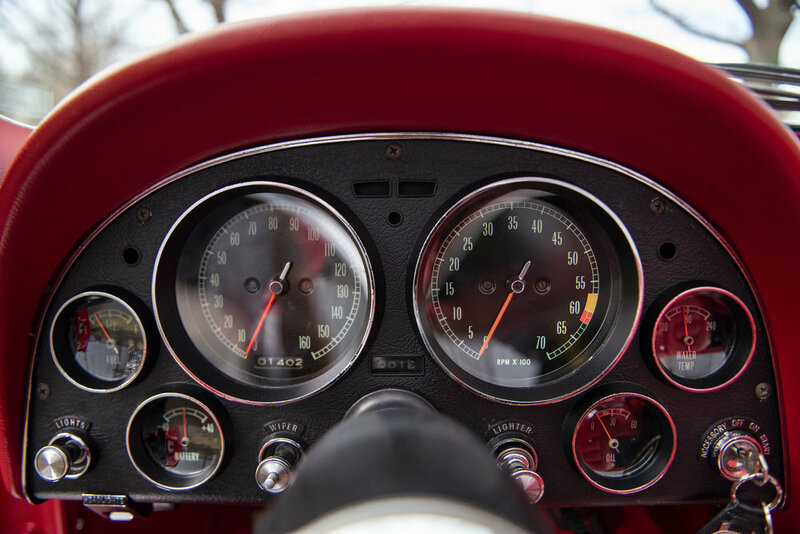 To handle that power, the brakes and suspension were refreshed in the recent restoration and inspire confidence.